MDC Bulawayo Senator David Coltart has disclosed that he turned down the offer to contest for a House of Assembly seat on an MDC Alliance ticket, preferring a less-demanding Senate seat. 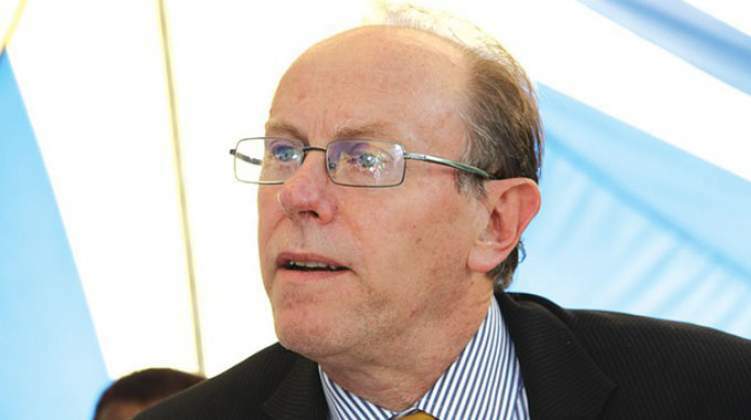 Coltart told supporters on his micro-blogging site, Twitter that he also does not take offence in being listed a distant sixth on the alliance's senate list. "I have been included on the MDC Alliance party list for the Senate in Bulawayo province. As many know I was very graciously and generously offered a relatively safe National Assembly seat being Bulawayo East by the MDC Alliance, which I declined to take up. Now equally graciously I have been included in the MDC Alliance senate party list for Bulawayo," he said. "My reason for not taking up the National Assembly seat in Bulawayo East was because both my family and my law partners were concerned about such a move. In the 14 years I was in Parliament between 2000 and 2013 both my family and law firm suffered from me not being around as a husband, father and senior partner respectively. "Although a senatorial seat is taxing, it does not hold the same demands as a National Assembly seat, in which some 30 000 constituents look to their MPs far more than they do senators. In short it felt that I could better play my role as a husband, father and senior partner as a senator." Senators are elected through proportional representation based on the number of votes cast for a particular party in the National Assembly elections. "One of the other understandings with my family in particular was that if my name appeared on the party list it should be lower down the list. The thinking behind this was that it was important to demonstrate solidarity with my colleagues in the MDC Alliance by standing, but that we should leave the decision as to whether I should be elected to the good Lord," he said. Coltart said he was also aware that he would only be elected into the Senate if the MDC Alliance scores a landslide victory in Bulawayo. "Given the massive contestant now underway, that prospect is unlikely. Even though I am confident that the MDC Alliance will sweep all the National Assembly seats in Bulawayo, it is unlikely we will secure the percentage of votes needed to secure all six senatorial seats on offer," he said. "… I do hope however that the citizens of Bulawayo will give massive support to all MDC Alliance National Assembly candidates, which will be the only way to make the unlikely happen, namely my election to the Senate."